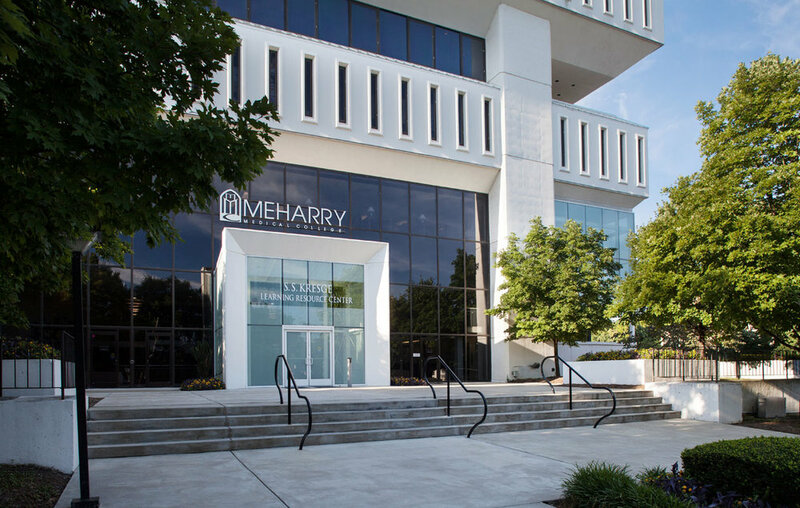 Kline Swinney Associates was hired by Meharry Medical College to find solutions to alleviate the energy consumption problems at their main administration and library building. 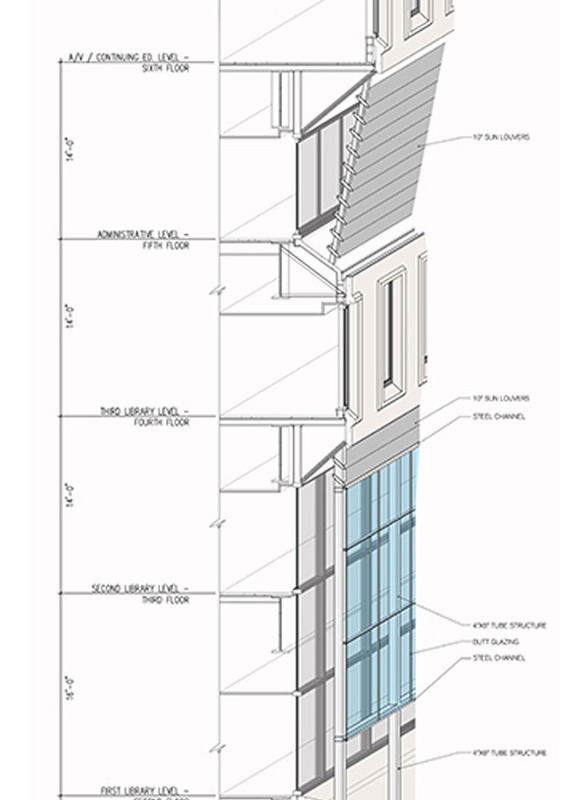 Our solution wrapped the south and west exterior walls of the building with a double glass façade wall. The glass façade was used to decrease the heat gain on the existing structure while aesthetically modernizing the building. We also brought restrooms up to ADA standards, replaced existing plumbing fixtures with LEED compliant fixtures, replaced existing lighting fixtures to meet LEED standards and designed a new main entry vestibule for the building that acted as an air lock. The project was so successful that the owner was able to raise the chilled water set point by 5 degrees for this building.